Giannis Antetokounmpo stayed true to his word in Thursday’s NBA All-Star Draft as the Milwaukee Bucks drafted his roster for the Team Giannis versus Team LeBron showdown in Charlotte next weekend. Antetokounmpo went pick-for-pick with LeBron James as the two captains squared-off in the NBA’s first-ever televised All-Star Draft, with James earning the first pick among the group starters after finishing first in All-Star votes. After James drafted ten-time All-Star Kevin Durant with his first pick, Antetokounmpo countered with Durant’s Golden State Warriors teammate, Stephen Curry – arguably one of the league’s most-clutch shooters. Team Giannis’ starting five took shape with the likes of Joel Embiid (Philadelphia 76ers), Paul George (Oklahoma City Thunder), and Kemba Walker (Charlotte Hornets). 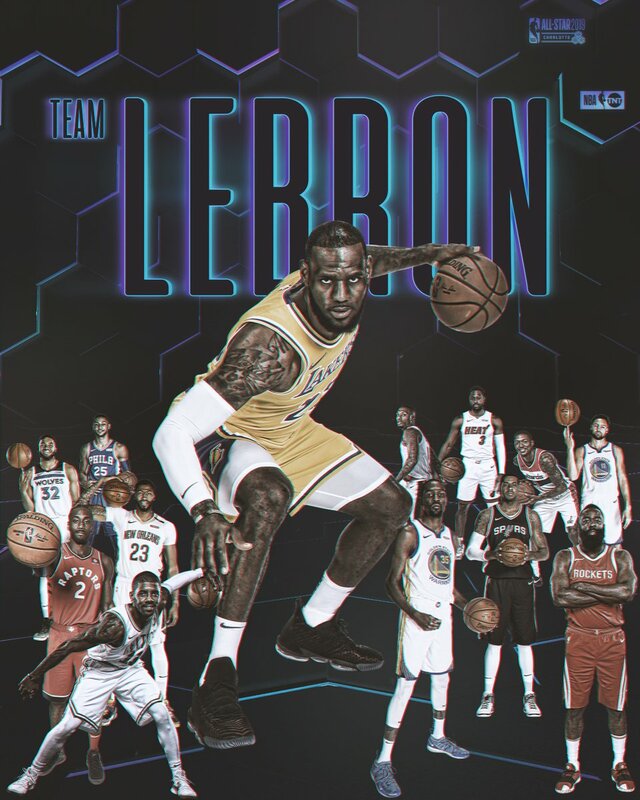 Meanwhile, Team LeBron includes a star-studded starting five of its own with the likes of James’ former teammate Kyrie Irving (Boston Celtics), Kawhi Leonard (Toronto Raptors), and James Harden (Houston Rockets). After James and Antetokounmpo selected their starting five, Team Giannis was given the first pick among the reserve players. Antetokounmpo stayed true to his word to Khris Middleton and drafted his Milwaukee Bucks teammate with the first pick among the reserves. 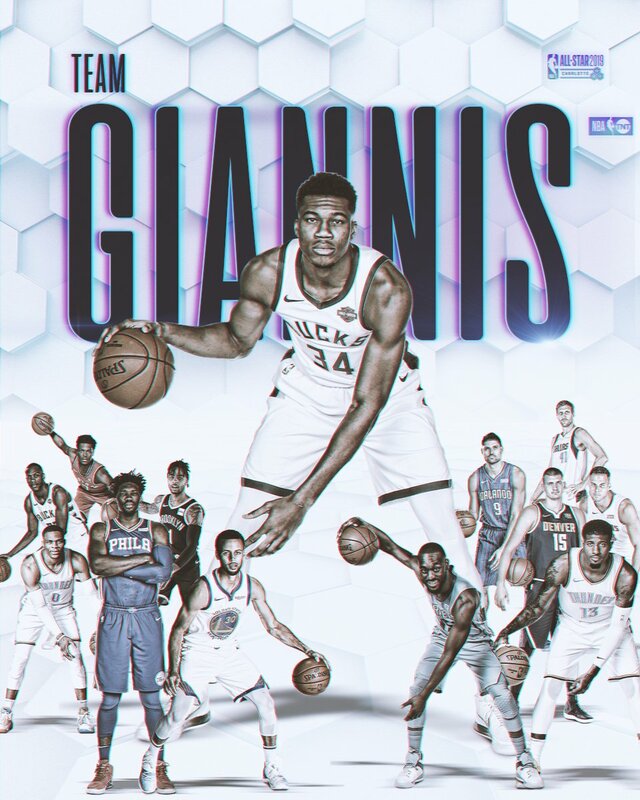 Antetokounmpo would go on to draft predominantly from the Eastern Conference, though he did make the exception and draft fellow European Nikola Jokic alongside Nikola Vucevic to give Team Giannis an unmistakable international flavor. In a twist to this year’s format, Antetokounmpo was also able to draft the legendary Dirk Nowitzki after the German big man was included in the All-Star festivities as a special roster addition alongside Dwyane Wade. Following the conclusion of the draft, Team LeBron and Team Giannis engaged in trade discussions as the two captains looked to make Antetokounmpo’s desire to draft both Embiid and Russel Westbrook a reality. The trade saw Antetokounmpo send Embiid’s Philadelphia teammate, Ben Simmons to Team LeBron in exchange for Westbrook. The 2019 NBA All-Star Game, the highlight of next weekend’s All-Star festivities, takes place on 17 February at Charlotte’s Spectrum Center.